THE FLATS – Matt Kuchar secures his spot in the 2020 Masters … Several Jackets return to action this week at Hilton Head … Champions Tour, Web.com Tour resume this week … this and more in the Georgia Tech #ProJackets Golf Report. Former RBC Heritage champions Stewart Cink and Matt Kuchar, both of whom competed in the Masters Tournament, headline a group of five Yellow Jackets in the field for this week’s stop at Harbor Town Golf Links in Hilton Head, S.C., joining Chesson Hadley, Ollie Schniederjans and Richy Werenski. Kuchar won the Heritage in 2014, while Cink captured the title in 2000 and 2004. Roberto Castro and Cameron Tringale, neither of whom played in the Masters, return to action next week at the Zurich Classic of New Orleans, where they will compete as partners in the two-man, best ball event. Kuchar, meanwhile, continued his excellent performance in 2018-19 with a tie for 12th place at the Masters, securing his spot in next year’s field regardless of his position in the FedEx Cup, which is currently No. 1, or Official World Golf Ranking, which is currently No. 16. A two-time winner in the PGA Tour this season, Kuchar posted rounds of 71-69-68-72 to post an 8-under-par total of 280 at Augusta National. Web.com Tour: Following a three-week hiatus, Paul Haley II, Nicholas Thompson and Vincent Whaley return to action this week in Prattville, Ala., at the Robert Trent Jones Golf Trail Championship. Whaley, a rookie on the tour, has posted a pair of top-10 finishes and ranks 11th in Web.com Tour points. The top 25 at the end of the regular season earn PGA Tour cards for 2019-20. Champions Tour: Larry Mize, who missed the cut at the Masters with scores of 77-74, will be in the field this weekend at TPC Sugarloaf in Duluth, Ga., for the Mitsubishi Electric Championship. Mackenzie Tour: James Clark, a fifth-year senior on Georgia Tech’s current team, will attempt to qualify for the Canadian Tour next week at its USA East 2 qualifier at TPC Sawgrass (Dye’s Valley Course) in Ponte Vedra, Fla. Clark, not in the lineup for the Jackets at this week’s ACC Championship, is using this week to prepare for the April 23-26 tournament. Chris Petefish, who has played some SwingThought.com Tour events in 2019, finished 18th at the Canadian Tour’s USA West Q-school event in Litchfield Park, Ariz., falling short of qualification. The Mackenzie Tour schedule begins May 23-26. 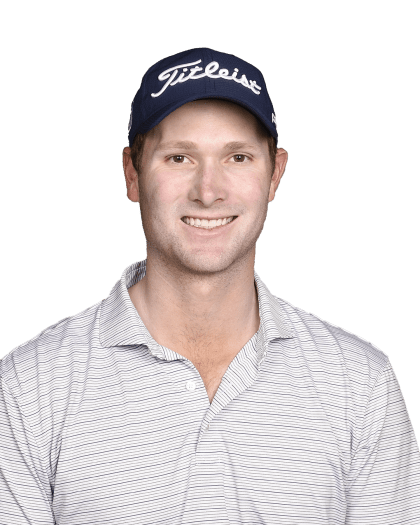 Elsewhere: Petefish, a 2018 Tech graduate who had some status on the Canadian Tour last summer, playing in four events, picked up a $2,115 check with a tie for 16th place last weekend at the Mary Bird Perkins TGMC Golf Classic in Houma, La. SwingThought Tour: Greystone Country Club • April 17-18, 2019 • Dickson, Tenn.